Last year, the average repair cost for a high-value luxury car was about $13,000, compared to an average repair cost around $2,500 for what the province called a typical private vehicle. British Columbia will no longer insure high-end luxury vehicles through its public auto insurance policies, says the province’s transportation minister. The government is working on legislative changes to have the Insurance Corporation of B.C. no longer insure luxury vehicles worth $150,000 or more. Minister of Transportation and Infrastructure Todd Stone says it’s expensive to repair high-end cars and creates “pressures” on basic rates for all drivers. Owners of cars priced above $150,000 will have to buy private insurance instead. While the government works to make the necessary legislative changes, it will immediately more than double the basic insurance rates for high-end luxury car drivers to ensure their premiums fully cover all costs of any repairs. “If owners of high-end luxury cars can afford a high-priced car, they certainly can afford to pay higher premiums to cover the real cost for their repairs,” Stone said. 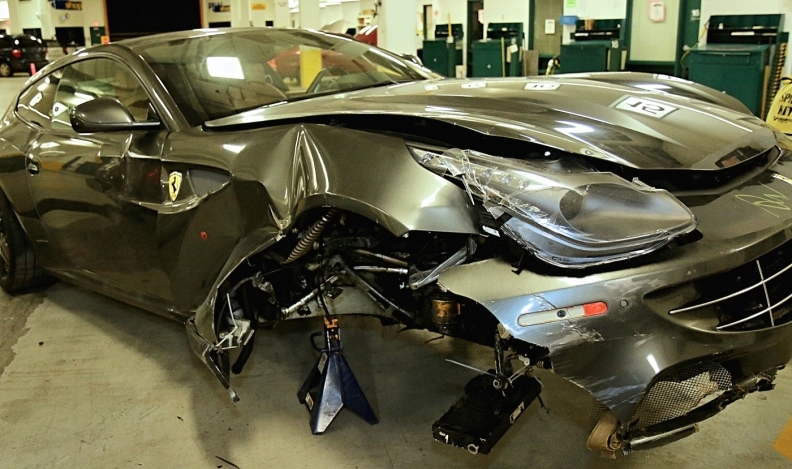 He added that when the more expensive cars get into a crash, they cost about six times more to fix because they are rare and built using high-end technologies and more expensive materials. Until now, luxury car owners have paid rates similar to those for non-luxury car owners. The ministry said in a statement the cost for parts to repair the fender, grille, headlight and intercooler on a 2015 Bentley Flying Spur W12 was approximately $38,000. Using props at a Nov. 23 news conference, the ministry cited the cost difference in parts between a Ferrari FF and Toyota Corolla. The fender and hood on the Ferrari cost a total of $18,000 while the same two parts on the Corolla were $550. “This policy needs to be fair for all British Columbian ratepayers, and we want to ensure that the regular everyday driver is not paying for the additional repair costs of these cars through their insurance rate,” Stone said. This year, B.C. insured 3,000 cars worth $150,000, a 30-per-cent increase compared to three years ago. “In 2015, high-end luxury vehicles cost ICBC $2.3 million in claims,” Ministry of Transportation and Infrastructure Public Affairs Officer Alexandra Korinowsky said in an email. The exact number of annual claims made by owners of high-end luxury vehicles wasn’t available, Korinowsky said. Drivers of high-end luxury vehicles will still be required to carry a certain amount of coverage to protect themselves and other drivers, but it will not be provided through ICBC’s public insurance plan. The government didn’t say what “a certain amount coverage” is to include. Commercial vehicles, pickups, collector cars, limos and RVs will be exempt from the new premiums.